An IP66, special purpose, enclosure designed for isolated environments such as for ITS equipment and GPS receivers. I am interested in one of the products on the Field FC page of your website. 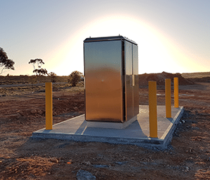 The substantial growth in infrastructure in Australia, and the requirement to protect electronic equipment in outdoor or isolated locations has lead to the need for a flexible enclosure. 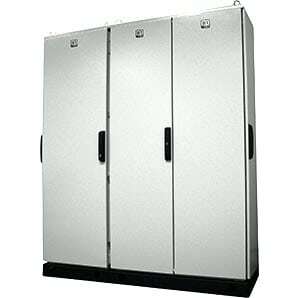 Protection against vandalism and the functionality of the system are two of the major considerations when selecting an enclosure for isolated environments. 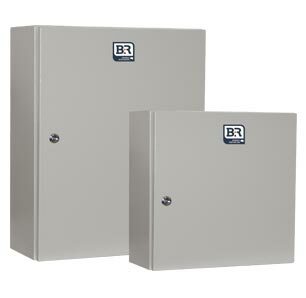 B&R’s range of enclosures have been designed specifically to minimise vandalism. BHP wanted to create a fibre enclosure hub which would be used to link a fibre ring underground with the surface. AuSCOPE CORS is a network of Global Navigational Satellite System Continuously Operating Reference Stations located around Australia which form a part of the federally funded AuScope program.